Home to the world famous Kings Road, upmarket boutiques and numerous art galleries, Chelsea is one of the most stylish and exclusive areas of London for you to visit. 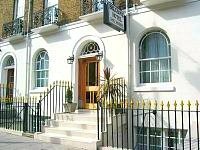 Chelsea is part of the Royal Borough of Kensington and Chelsea, located inside the congestion charging zone, and surrounded by a number of fashionable districts such as South Kensington, Knightsbridge and Brompton. 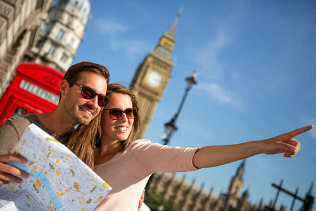 You will also find several tube stations encircling Chelsea like Sloane Square and South Kensington. As they are all situated in tube Zone 1, it’s really easy to travel around this fantastic capital city from here. Chelsea is one of the most historic areas of London, and its early records date back to before the Domesday Book. Historically, Chelsea was a rural area that produced market goods and acted as the market garden for the rest of London. In addition to the rural origins of the area, Chelsea has always been known as a haven for the wealthy and opulent, and this is displayed in history by the fact that indulgent King Henry VIII acquired the manor of Chelsea in 1536. Two of Henry’s wives lived in his Chelsea Manor, and Queen Elizabeth I was also a later resident. So renowned was Chelsea for its opulence that it was once known as the ‘village of palaces’. Chelsea retained its market trade until the development boom of the 19th Century. It was during this time that the area started to take shape as a more populated district, with new housing and roads constructed, including the now famous Kings Road. The Kings Road is one of the standout landmarks of Chelsea and was originally named in honour of Charles II. There is a history of bohemia in Chelsea with tales of artists, poets and painters highlighting its hazy and radical past. In more modern times though, Chelsea has become a hot bed for the latest trends and fashions and is a real celebrity hangout: its recent residents including Hugh Grant, Kylie Minogue and Gwyneth Paltrow. Rich both culturally and materially, Chelsea is one place you should definitely see! The most striking thing about Chelsea is that it is a really fashionable and affluent area of the capital, as is evident from the number of upmarket boutiques and restaurants in the district. This all adds to the exclusive feel of the area, with a stylish and classy atmosphere for you to enjoy. It’s not all about wealth in Chelsea though; affordable high street fashions are still well catered for, and there are plenty of attractions for you to visit including a number of stunning parks and gardens. 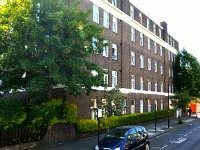 Another interesting aspect of Chelsea is its rich history; it’s been home to a number of famous residents which is why you will see so many blue plaques all over the area. If you are planning to come to London and stay in a peaceful area, with very few people around, Chelsea probably isn’t the best choice for you. The area is one of the most densely populated places in the UK, but this creates a real buzz, and what area of Central London isn’t heavily populated? The issue of road traffic is the same as with most areas of London, as the roads are always full. Should you choose to drive to Chelsea you will still benefit from a number of car parks and parking spaces in the area. As mentioned before, Chelsea is affluent and as a result of this prices in shops and restaurants do tend to be a bit higher than average. This is not to say that there aren’t a large number of restaurants, shops, bars and cafes that are excellent value for money though, because there are!